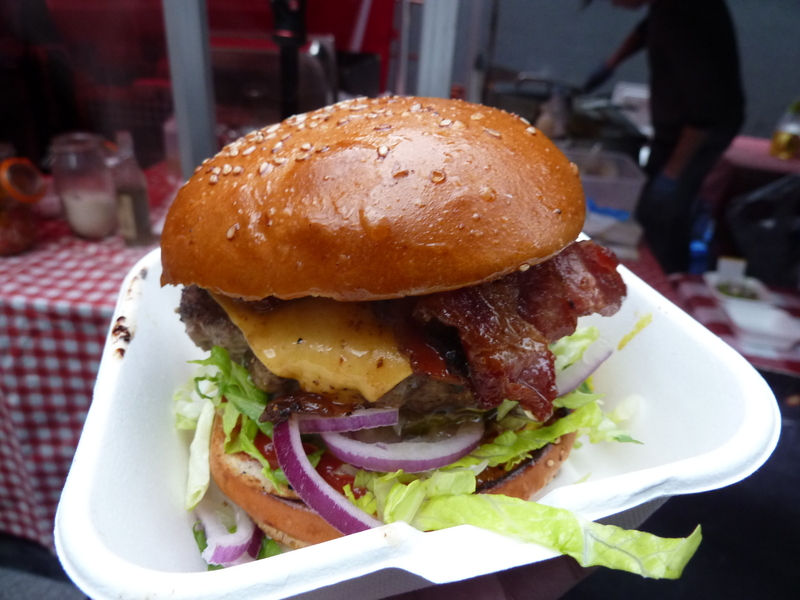 Once upon the time, Kerb market started introducing really great street food to London. Londoners, all too accustomed to cardboard pre-packaged sandwiches, were very excited by this sudden flavour explosion across the capital. 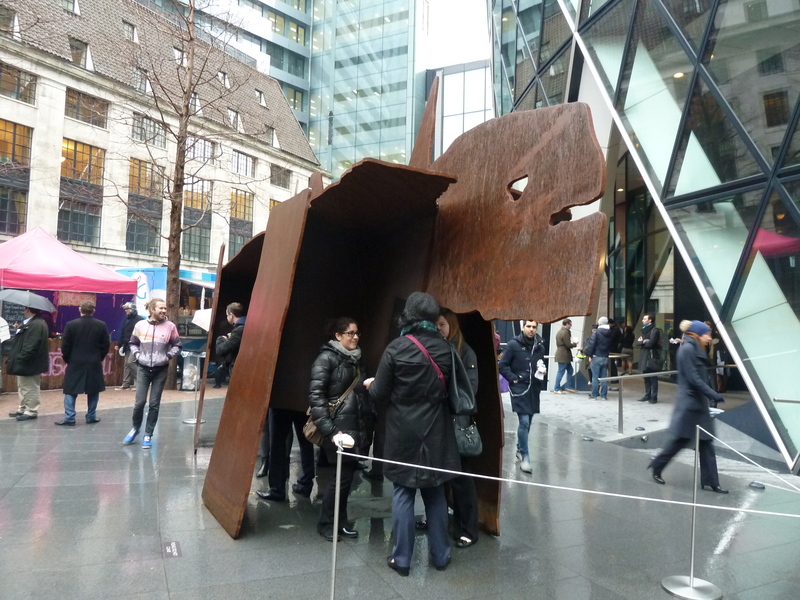 Kerb became really popular and started sending traders to the Gherkin, allowing all the City workers to be well fed too. But one day, something terrible happened. 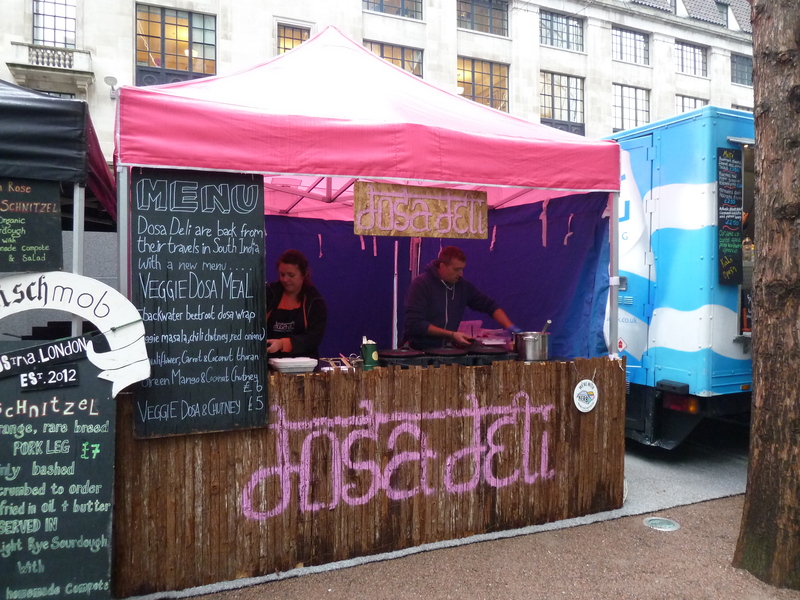 The City of London decided that it was far too pretentious and sterile to allow a lively, delicious and buzzing street food scene to thrive. It banned Kerb from cluttering up its tightly controlled urban environment. However, people of the City were very sad. They were hungry. And they were angry. Even worse, they were hangry. Their Thursday al fresco lunches were replaced with bland ‘al descos’. Perpetual gloom settled over the City and it rained every day (oh wait, that might just be England). 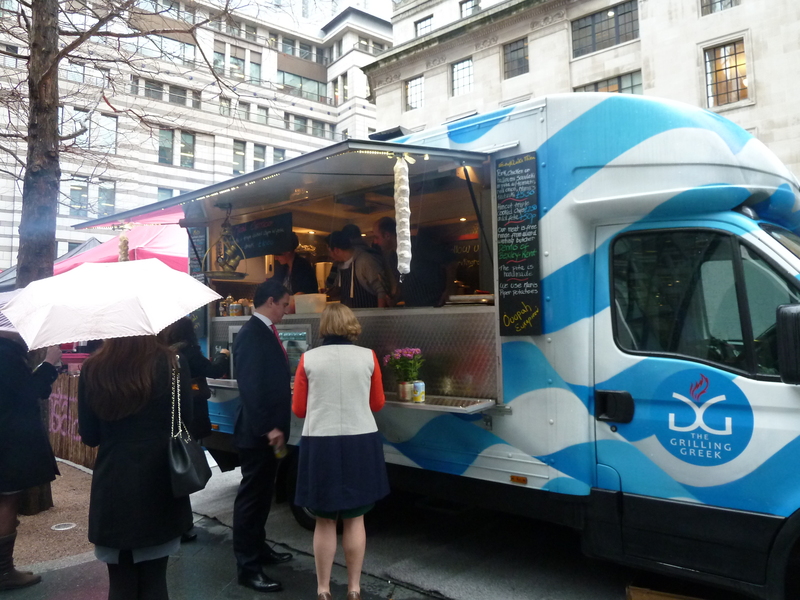 Talks between Kerb and the City of London continued, and the City had to grudgingly admit that a lot of people missed street food. So several negotiations and dinosaurs later, and after the slaying of a few metaphorical dragons, Kerb triumphed in the Battle of the Bland, and glorious grub once again glimmered at the Gherkin. 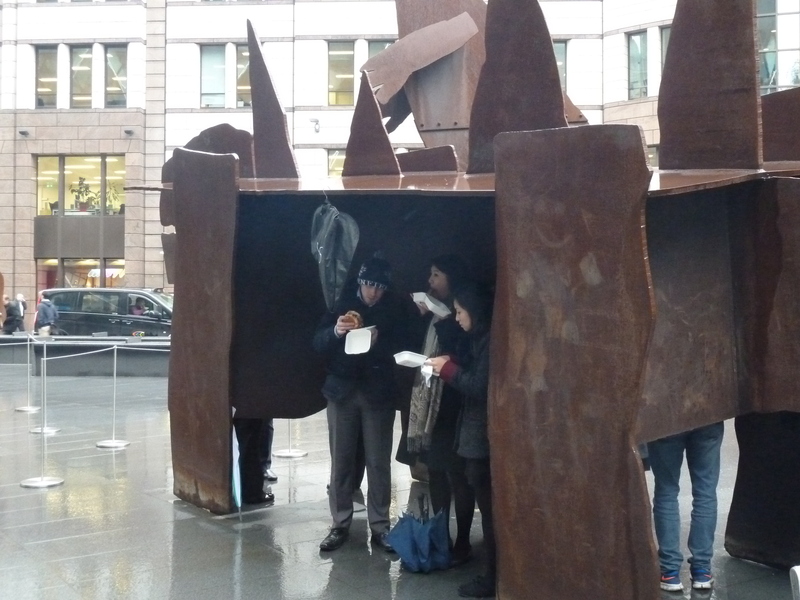 The Londoners rejoiced and not even the perpetual rain could dampen their enthusiasm or their appetites. In other news, I tried a Bacon Candy Mother Flipper burger (bacon fried in maple syrup, American cheese) and it was awesome. 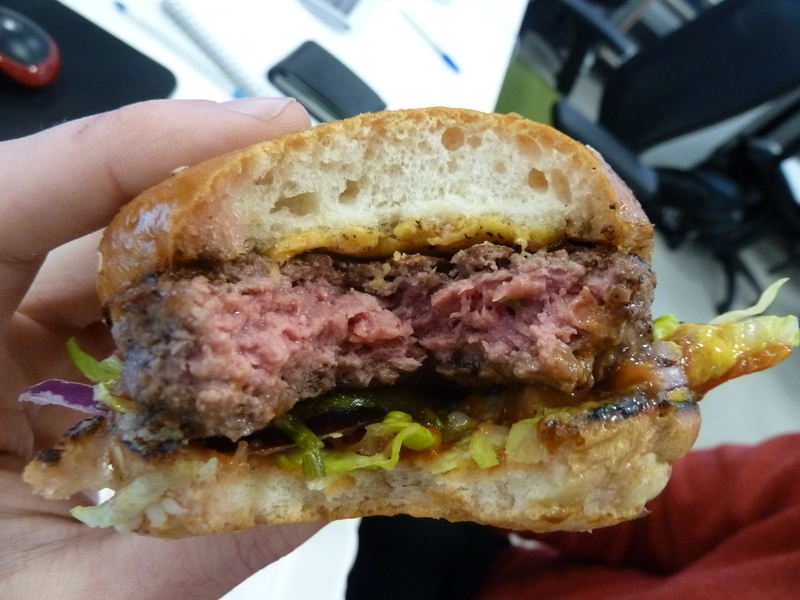 The burger looks awesome. Was it from burger bear by any chance? Nice write up, make me hungry to open my own stool. 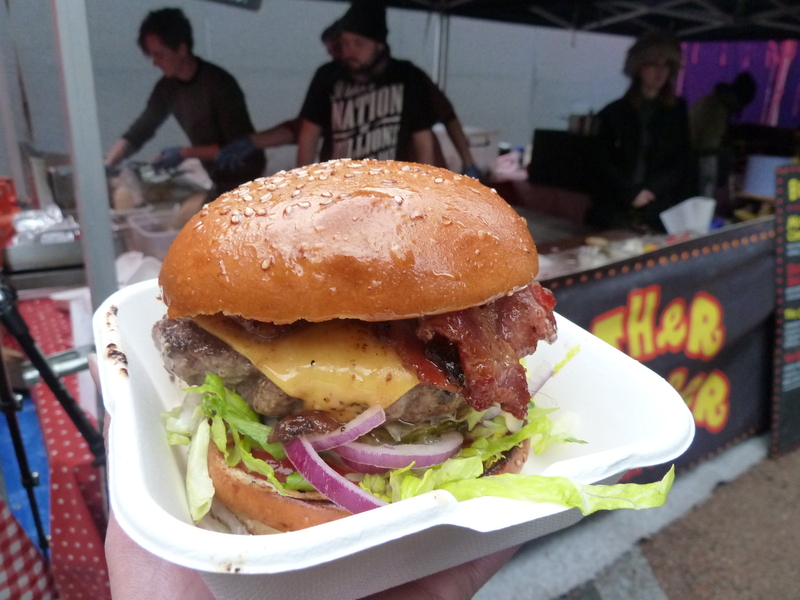 It was Mother Flipper but Burger Bear also great – love their bacon jam!